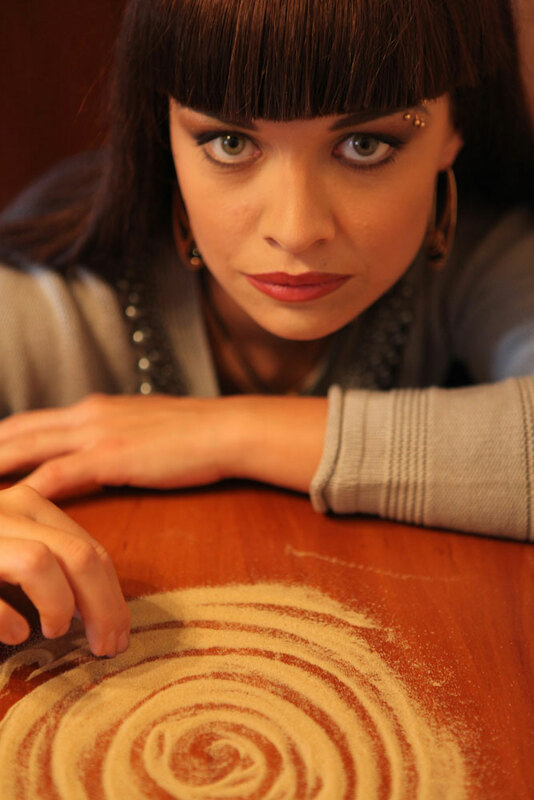 Kseniya Simonova is a sand artist, winner of «Ukraine’s got talent», announced as Internet-sensation by «The Guardian». She creates beautiful and touching stories with just sand and her hands. She is the most viewed sand artist on Internet. After triumphal win on the show, Kseniya has performed her sand animation shows all over the word in more than 70 countries. She was invited to show her art before Royalty and Presidents, among them are the Royal Family of Thailand, Queen of Denmark, Princess of Denmark, Royal Family of Morocco, Royal Family of Bhutan, members of Royal Family of Great Britain, Royal Family of Bahrain, and also Presidents of Malta, Poland, Ukraine, Russia, Kazakhstan, Turkey and many others. The most respected stages of the world accepted her art — from Special Olympic Games closing ceremony in Athens to YouTube Symphony orchestra Gala in Sydney Opera house. Her beautiful sand animation became a staging act for Ukraine on Eurovision Song Contest, helping Ukrainian singer Mika Newton in getting 4th place in the Grand Final. In 2019 she is taking part in the world’s biggest talent show «America’s Got Talent: Champions» on NBC. In 2009 Kseniya Simonova won “Ukraine’s Got Talent” and received a prize of $1 000 000 hryvnas. At Eurovision Song Contest 2011 in Dusseldorf, Simonova performed the staging act of sand animation for Ukraine's entry with singer Mika Newton, they had 4th place in final. 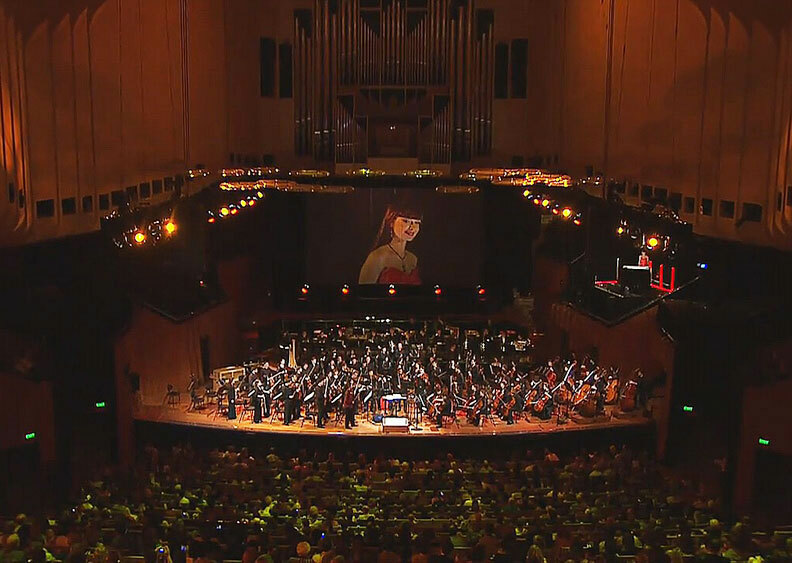 In 2011 Kseniya Simonova became a special guest performer and the only non-musician of the YouTube Symphony orchestra Gala in Sydney Opera house with her sand animation live act together with 150 musicians of the YSO. In 2011 Simonova became a special guest with her sand show at Special Olympic Games Closing Ceremony in Athens viewed by 60,000 audience. In 2012-2018 Simonova became the judge of the International Sand Animation competitions in China, having also performed at the Closing ceremonies Galas. In 2017 Simonova became a special guest of Impossivel Live TV show of Portugese illusionist Luis de Matos in Portugal where she performed a sand story on song of Salvador Sobral, Eurovision-2016 winner. In 2017 Simonova performed «The Nutcracker» with National Orchestra of Belgium in Brussels, in the presence of the Royal family members. She has drawn with sand the whole story of the fairy-tale. Kseniya performed before the Queen of Denmark Margarethe II in Danisg Aalborg together with Danish National orchestra. Performance in Lviv, Ukraine, at charity concert of Lviv Philarmony. Simonova became a special guest of King Rama IX of Thailand anniversary ceremonies in Bangkok with her sand show devoted to the King. Performance in Sweden with Wermland opera orchestra. Performance in Florence with Toscana Symphony orchestra at Verdi Theatre.